We specialize in the machining of non-metallic and plastic parts, and over 90% of the parts that we machine are made of sometime of plastic, phenolic or other non-metallic materials. 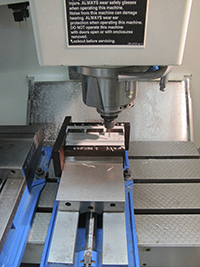 Although it may seem counterintuitive the machining of non-metallics can be incredibly challenging. 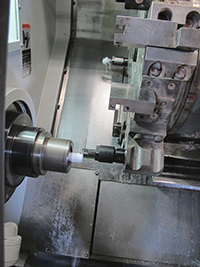 Trying to machine soft or brittle materials such as PTFE, polypropylene, acrylic and nylon can be a maddening exercise in frustration to machine shops not accustomed to working with the unique characteristics of each material. On the flip side rigid materials such as G-10 FR4, G-11 and other epoxy laminates can be a nightmare to machine as their abrasiveness quickly wears down even brand new carbide end mills and cutters. The primary industries for our machined parts are aerospace, avionic instrumentation, consumer electronic components, computers, semiconductors, commercial electronics, defense, microwave components, battery and power supplies, communication technology, security systems, marine components, nuclear, fluid control, and medical.